H.E Dr. Bawumia will be the Keynote Speaker at Columbia University’s Annual Economic Forum in New York City, New York and at Chicago University’s Booth Business School’s 2019 Emerging Market Summit in Chicago, Illinois. H.E. 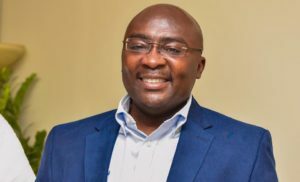 Dr.Mahamudu Bawumia returns to Accra on Tuesday, 16th April, 2019.